…Ken Sande’s ministry has an abundance of information how to deal with conflict biblically. Reform your own conflict resolution methods first, then look for other peacemakers you can work with. Answer from Sharon, who has served as an independent global worker in Thailand for four years. I wish I had known that we would be accidentally forgotten by our closest friends and family. They don’t mean to forget, they just get busy with their family, jobs, activities, and just life back home. The first few weeks or months the emails, Skype calls, and letters come frequently and are so encouraging and uplifting. As the months turn into years, they come less and less frequently. Eventually, some stop altogether. Don’t take it personally. Try to keep the lines of communication open. And realize you have less in common than you used to. Most adults do not know how to handle the humiliation of learning a new language, of having people give them confused stares, just outright laughing at them, or becoming angry because you’re in their country and can’t speak the language. Many people in my language school suffered from loss of identity and inferiority. These were well-educated people who had been successful in their occupations back home. Now they were learning language full-time and couldn’t understand why they were having such a hard time. Being smart does not guarantee that you will find learning language easy. I went to the field with a Bible college degree under my belt. Beyond the one intro class, I had not even taken any courses on global work. I went out blissfully ignorant and I didn’t know what I didn’t know! There were pre-field training opportunities back then, but there are so many more today, and every aspiring global worker should take advantage of them! Ten years after I had been on the field I had the chance to take such a course and I still learned a lot! In most presentations from global workers, we hear only about the victories and great things the Lord is doing. …This is not helped by the fact that church people want to put global workers on a super-spiritual pedestal for being willing to sacrifice and live under harsh conditions. 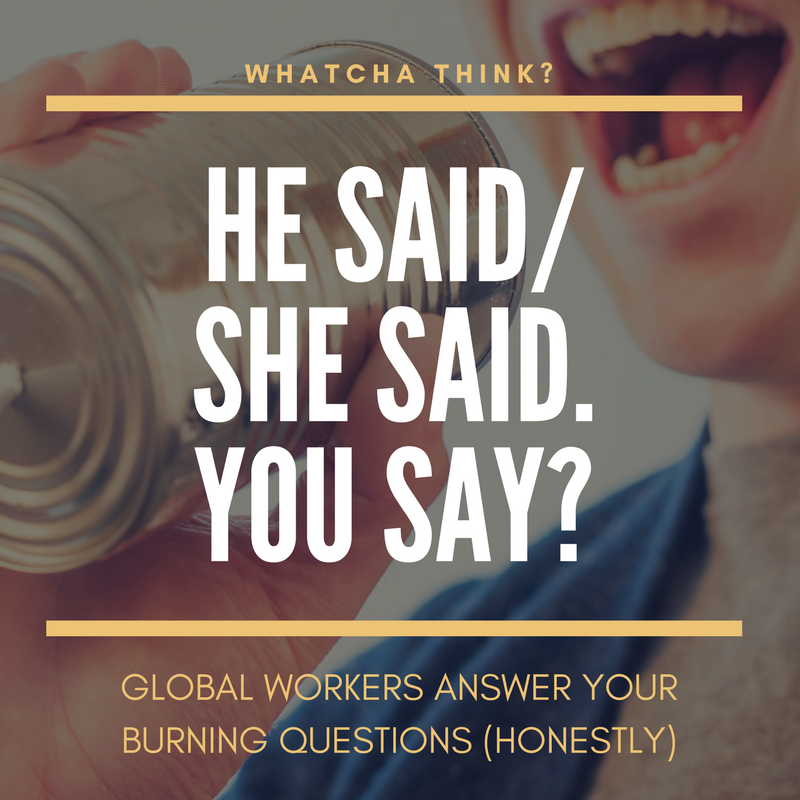 So it’s important to talk with global workers one-to-one to hear their struggles as well as their victories. Another common fallacy is that the lost are crying out for someone to tell them the gospel. There may be the rare exception (in Papua New Guinea, one tribe did build a church in anticipation of the global workers coming to tell them the good news), but in general, the lost are blinded just as the Jews are. They are not searching for God and are living deceived in the darkness of their blinded condition. We will most commonly find indifference to the message, and at worst, we’ll experience downright opposition. …Of course, all our friends at home will tell us what a great and wonderful thing we’re doing. Then WHAM! We come face-to-face overseas with all our inadequacies and weaknesses. We realize how much we’re actually going to have to depend on God to see something accomplished. Many global workers, when confronted with the reality of living in a foreign culture and the time needed to influence people, simply become discouraged, turn around, and come home. Only when we realize our total dependence on God, wait on him, and work with him, do we finally see some beautiful fruit. Grab Part II right here. We want to hear from you. Yeah–you. Join the discussion below! Global workers, what do you wish you’d known before going overseas? Wonderful and realistic. Conflict resolution is such a critical tool for all of life! Mike’s comments on expectations were my experience as well.